With Multiple 3D Printer Operators, Who Is Responsible For Communicating Maintenance Needs? Optimal communication can still be obtained even when there are multiple operators using a 3D printer. One main point of contact should be designated for the printer. This contact should be well-trained and have good communication skills as they will be responsible for explaining the status of their printer, based on the information provided by the operators. Though there should be only one main contact person, all operators are responsible for cleaning and maintaining the printer after each print job. As an example, a Stratasys Objet 30, needs to be properly maintained by ensuring that print heads are clean as well as the build tray. It is the main point of contact's duty to make sure the operators are keeping up with these daily tasks. In order to provide optimal communication and service, TriMech keeps a current list of designated contacts to show who the main point of contact and operators are. It can be very confusing for a TriMech 3D printer technician if they receive multiple phone calls or emails from several different operators within a company. In this situation, the operators are often relaying multiple perspectives of a situation to the technician. This can cause time delays when trying to communicate back to each person, as well as a delay of the diagnosis. If this scenario happens multiple times within a few months, there is a lot of time and effort being used to sufficiently communicate with each operator for just one printer. Therefore, having one main point of contact can streamline the whole process. 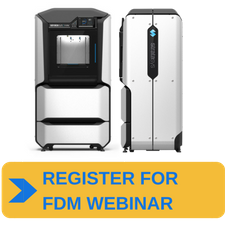 Interested in learning the best practices for FDM or PolyJet 3D printer maintenance? Register for our upcoming webinars!